At the Florence Chiropractic & Wellness Center, every patient is unique. Each patient receives a thorough evaluation which results in an individualized treatment protocol, specific to their needs. Dr. Cathy Gratkowski along with her support staff at the Florence Chiropractic & Wellness Center are knowledgeable, well trained, caring professionals. Our staff will assist you in every phase of your care. We will guide you through your questions regarding scheduling, insurance coverage, billing operations, and patient care. Also, be assured we will alleviate your symptoms as rapidly as possible, sharing with you a variety of ways that you may recuperate more quickly and prevent recurrence. We will treat your condition through an integrated approach to overall health. We offer various techniques of assessment and treatment to ensure the best results possible. We work with our patients to achieve and maintain a vital body; strong and resilient to the stresses faced in daily life. Florence Chiropractic & Wellness Center focuses on the concept of optimizing your own bodies ability to heal with the assistance of multple modalities respected in the field. We incorporate many alternative treatment methods to attempt to achieve optimal results for our patient’s care. This philosophy encompasses a blend of chiropractic, nutrition and exercise. Dr. Cathy is a Certified Clinical Nutritionist and is pleased to be able to offer nutrition classes to our patients on topics ranging from basic nutrition and meal planning, natural arthritis treatments, gut health along with hormone balancing for men and women. Registration is required, so please call the main office at (859) 525-2994 for pricing and availability. If your organization or group would benefit from a private nutrition class, please contact the office to discuss scheduling options. Please visit the “Wellness Center” periodically to view the classes currently being offered. Click here for a full schedule of classes. Following the patients evaluation, treatment recommendation will be suggested. We offer various treatments however, the primary treatment performed in our office is chiropractic manipulation to the spine along with the surrounding joints. Our primary method is the Diversified Technique along with Flexion-Distraction. Florence Chiropractic & Wellness Center also utilizes proven adjunctive therapies to enhance the benefits of the chiropractic treatment. These include therapeutic exercises, interferential current, cold laser, ultrasound therapy, kinesio taping, cervical and lumbar traction, as well as lumbar decompression. Many of our patients are also given nutritional recommendations to assist in their healing. Nutritional recommendations are a part of our comprehensive treatment protocol for each individual patient. However, some patients may request private nutritional counseling. These consultations are offered as 30 or 60 minute sessions. This service is performed by Dr. Cathy Gratkowski, D.C., who is a Certified Clinical Nutritionist (CCN), in addition to receiving her diplomate from the American Chiropractic Board of Nutrition. One on one counseling with Dr. Cathy Gratkowski, DC, CCN is used to address health concerns prior to the development of disease and pathology as well as during the dysfunction. Her philosophy utilizes the fundamentals of Functional Medicine to discover warning signs of ill health before disease and pathology strike along with developing strategies to improve current symptoms. Treatments range from dietary improvements, supplementation or even evaluating body chemistry by testing hormones levels, nutritional imbalances, food sensitivities and overall gut health through indicators present in blood, saliva, urine or stool samples. Dr. Cathy is available for personal nutritional counseling by appointment. Dr. Cathy has completed a 200 hour registered yoga teacher training (RYT) with the Yoga Alliance. Dr. Cathy is excited to share her knowledge and understanding of yoga as a modern-day exercise science. Based on the ancient philosophy of Hatha yoga, it blends balance, strength, breath, flexibility and power in a fitness format. She has developed a course entitled “Stretch, Balance and Breathe” which is geared towards people with physical challenges. This includes a range of patients from those with normal aging, balance difficulties, joint damage, breathing difficulties as well as patients with neurological challenges such as stroke or neuro-degenerative diseases. 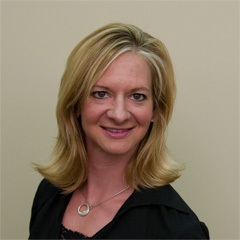 DR. CATHY GRATKOWSKI, D.C., C.C.N. Dr. Cathy is a 1990 graduate of the National University of Health Sciences (formerly the National College of Chiropractic). She has been in private practice in Florence, Kentucky since 1990 and is the owner of Florence Chiropractic & Wellness Center. As part of her continuing education, Dr. Cathy has been certified to determine Permanent Impairment Ratings, should a patient sustain a serious injury resulting in permanent bodily damage. In addition to her Chiropractic degree, Dr. Gratkowski received her diploma from the American Chiropractic Board of Nutrition with a certification in Clinical Nutrition. As both a Chiropractor and a Clinical Nutritionist, her interest in teaching wellness has inspired her to share her knowledge and experience with others outside her practice through public speaking and classes. Dr. Cathy maintains an active schedule, participating in Wellness Seminars from both the perspective of student and teacher. She recently completed her 200 hour registered yoga teacher training with the Yoga Alliance. This was accomplished initially as her own personal journey toward self improvement. The benefits of yoga became so clearly helpful to her patients, she has incorporated many of the teachings into her daily chiropractic practice.